ISR was asked to develop, oversee and coordinate construction staging and force account planning for the rehabilitation and the integration of NJ Transit’s Hurricane Sandy recovery signal programs? 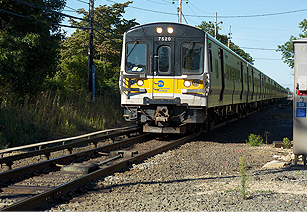 ISR is developing the construction staging and force account schedule as well as the communications design for The Long Island Rail Road project fully double-track the Main Line between Farmingdale and Ronkonkoma, approximately 17 route-miles. This will include new track and structures, new signal and communications, and upgraded grade crossings, among others. ISR, as a subcontractor to a joint venture of STV and AECOM, is responsible to design the communications infrastructure for this project, encompassing backbone and horizontal fiber and copper communications cable, including drops to wayside communications equipment. The double track will pave the way for redevelopment of the Republic Train Station, although that part of the project will not be completed until 2018. The project will consist of two phases. The first phase will add track from Central Islip to Ronkonkoma and is expected to be completed by September 2016. Phase two will focus on Central Islip to Farmingdale and will begin immediately after the completion of phase one. Construction will work around the train schedule and occur primarily at off-peak traveling times.